Personal Information We collect the personally-identifying information (“Personal Information”) you give us when you register with or use the Services, including: name, email address, password, phone number, zip code and payment account information. Personal Information that you post to public areas of the Services or via your public profile may become publicly available and is no longer considered Personal Information. Your posting to such public areas of the Services constitutes consent to share such information publicly, and you should assume that such information will be widely disseminated, including via search engines and other tools to locate information online (e.g., internet archives). Usage/Log information We collect usage information when you use the Services. This includes information such as your computer’s Internet Protocol (IP) address, operating system and browser type, the address of a referring website or a website to which you exit, the date and time you access or use the Services, items you click on, pages you view and the amount of time you spend on particular pages. Cookies and Use of Cookie Data We also collect certain information (automatically) through the use of “cookies” and similar tracking technologies. Cookies are small data files that are stored on a user’s computer or device at the request of a website to enable the website to recognize previous visitors and retain information such as user preferences and history. If you wish to block, erase, or be warned of cookies, please refer to your browser instructions or “help screen” to learn about these functions. However, if your browser is set to not accept cookies or if you reject a cookie, you will not be able to sign in to your ICashout account or use certain parts of the Services. Information Collected By Third Parties We may also use third parties to display and target ads, provide certain functionality (such as maps), or to place their own cookies and other tracking technologies to collect, track and analyze usage and statistical information from users. We are not responsible for the information collection practices of any third parties. Non-Personal Information We use information other than Personal Information, including aggregated or anonymized information, for ad targeting, to analyze trends, administer the Services, improve customer service, diagnose problems with our servers, track user movement, and gather demographic information for aggregate use. Third party ad platforms may use this information for a similar purpose, but you should follow up with third parties and confirm their information collection and usage practices directly. We may freely publish, disclose and use information other than Personal Information, including aggregated or anonymized Personal Information, to or with third parties.Personal Information We use Personal Information to facilitate your use of the Services, to process your requests or transactions, to provide you with information, products and services you request, to administer and assist us with the operation of our business, and for the purpose for which the information was provided. We may use the information we collect to send you news relevant to you or in accordance with your preferences. We may also send you advertisements from third parties. We do not disclose, rent, sell or otherwise make available your Personal Information to third parties for direct marketing purposes. Third Party Service Providers In the event that we engage with third party service providers in connection with our Services, we may share Personal Information with such service providers who need access to such information to carry out their work for us. For example, we may use credit card processing or verification companies to verify credit card information or to verify your identity. Other than such service providers, we do not share Personal Information with third parties unless (1) you have indicated to us that you wish to receive information from such parties; (2) you otherwise give us your consent to do so; or (3) in response to a request for information or a subpoena. Text Messaging We do not ordinarily send text messages for marketing purposes, but to the extent you provide us with your mobile telephone number, you consent to the transmission of text messages to such number, and waive any rights you may have under the Telephone Consumer Protection Act. You may, however, contact us and opt out of receiving such texts. Managing Online Advertising Preferences We respect all browser instructions for setting or rejecting cookies on generally available browsers. This is one way to manage your preferences regarding the collection of information by ICashout. Managing Your Newsletter/Communications Preferences You may select whether or not you wish to continue to receive newsletters or other communications by changing your account settings on the email and notifications page of your account section of the Services. In addition, you may “opt out” of receiving any category of subscription, marketing or promotional email from ICashout by following the unsubscribe instructions or using the unsubscribe links within the emails we send. Please note, however, that as long as you maintain an account, you may not “opt out” of receiving service or account-related emails from ICashout. We may disclose Personal Information when we are required to or we believe it is appropriate to comply with the law (e.g., a lawful subpoena, warrant or court order); to enforce or apply this Policy or our other policies or agreements; to initiate, render, bill, and collect for amounts owed to us; to protect our or our users’ rights, property or safety; to protect our users from fraudulent, abusive, or unlawful use of the Services; or if we believe that an emergency involving the danger of death or serious physical injury to any person requires or justifies disclosure of Personal Information. You can correct certain information by logging into your account and changing the information, and you may also delete certain information by closing your account. In addition, lawyers may change certain information contained in their profile and edit the information contained therein. Please note that in certain circumstances, we may not, or may not be able to, remove or change certain information, even in the event an account is closed. For example, we may retain and continue to display any information you provided in connection with a question, answer, endorsement or client review. In addition, lawyers cannot remove their profiles, ratings, endorsements or reviews by closing their accounts. Information about our customers, including Personal Information, may be disclosed as part of any merger, acquisition, debt financing, sale of company assets, as well as in the event of an insolvency, bankruptcy or receivership in which Personal Information could be transferred to third parties as one of ICashout’s business assets. In such an event, we will attempt to notify you before your Personal Information is transferred, but you may not have the right to opt out of any such transfer. Our Services are not intended for use by children under the age of 13, and such use is prohibited by our Terms of Service. We do not knowingly collect Personal Information from children under 13. If you become aware that a child has provided us with Personal Information, please contact us as set forth in this Policy. We may change the provisions of this Policy at any time, and we will always post the most up-to-date version on our website. If we determine, in our sole discretion, that a modification to this Policy materially affects your rights, we will notify you by sending a message to your account email. Want a neat and effective way of dining at eateries where everything is organized properly and serves to satiate you to the fullest? Want the food to be cooked according to your preferences and also track its progress? How about doing this from the smartphone of yours without being associated with the time for servers to come and note down what you want?. How about the scenario where everything is integrated into a single smart app which innovatively transforms the way when it comes to being associated with a restaurant related to dining, food delivery or making a takeout. This is where iCashout comes to the picture. 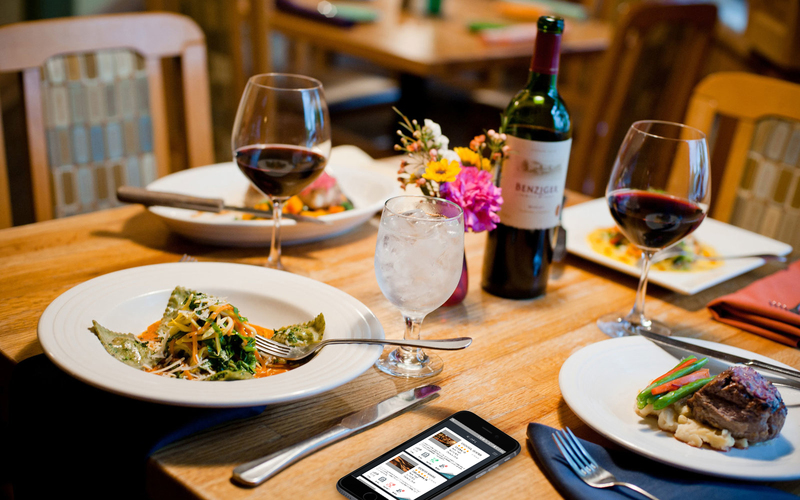 iCashout- Dining at restaurants has never been this neat and amazing ! Dining at a favorite hangout is surely a memorable experience thanks to the delicious food served, the charming ambience of the eatery and several other factors. How about yearning for even more where the valuable time of the gourmet is considered to be very much important when it comes to dining. iCashout app is the recommended suggestion for you. The main principle on which the app operates is mitigating the delays when it comes..
iCashout- This is how dining is defined! 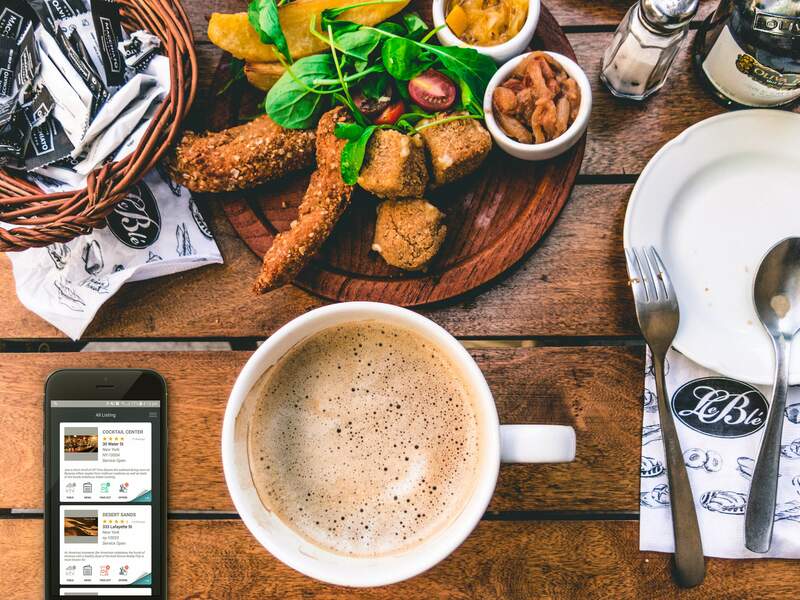 The way how dining experience is enhanced to be made classy and stylish at your desired eateries, is evident from how iCashout functions to appease its user base. 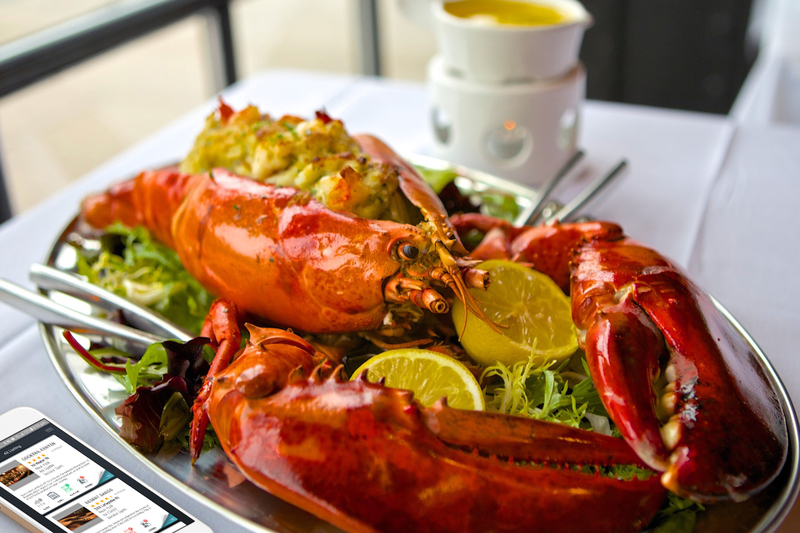 Developed as a must have restaurant app for foodies and gourmets, the app has made quite a presence in the New Jersey locality where more and more eateries are embracing and adopting the iCashout app for the augmentation and enhancement of how they offer services for the food lovers who visit their restaurants.